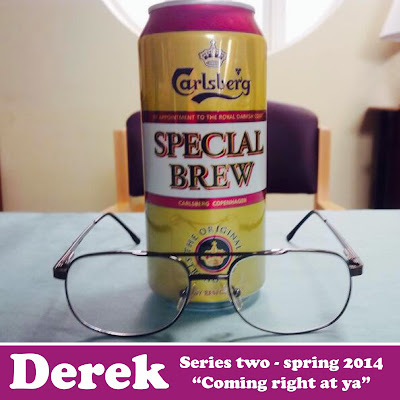 This week is the final week of filming for Derek Series 2 and with many cast members already finishing their stint, Ricky Gervais, Charlie Hanson and the production team will soon be hitting the editing suite to create another polished masterpiece. 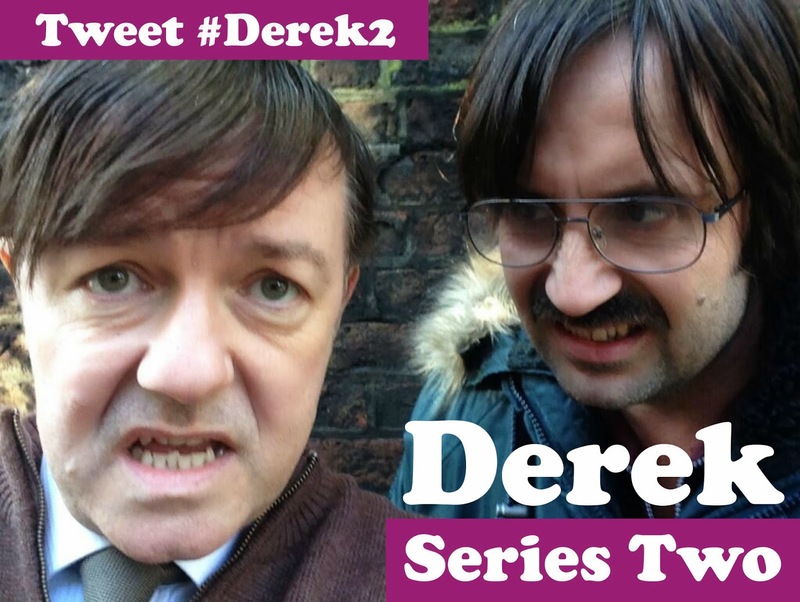 Actors David Earl (Kev), Kerry Godliman (Hannah), Brett Goldstein (Tom), Holli Dempsey (Vicky) and Karl Pilkington (Dougie) return for series two as well as new cast member Colin Hoult. Colin tweeted recently: "Just wrapped 5ish amazing weeks on Derek. A truly inspirational bunch of clowns. 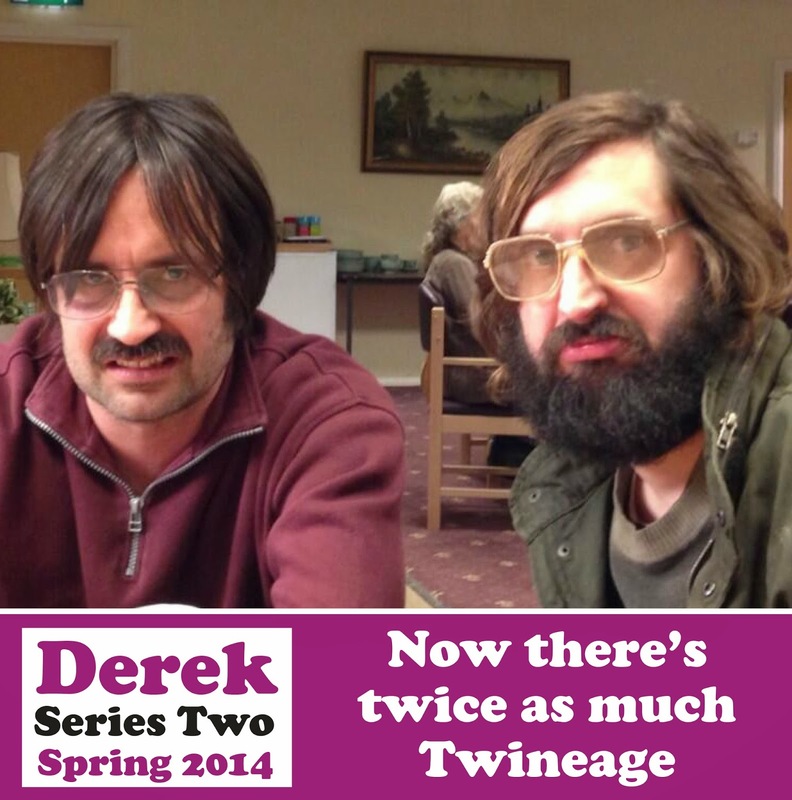 Can't wait to see how it all comes together." 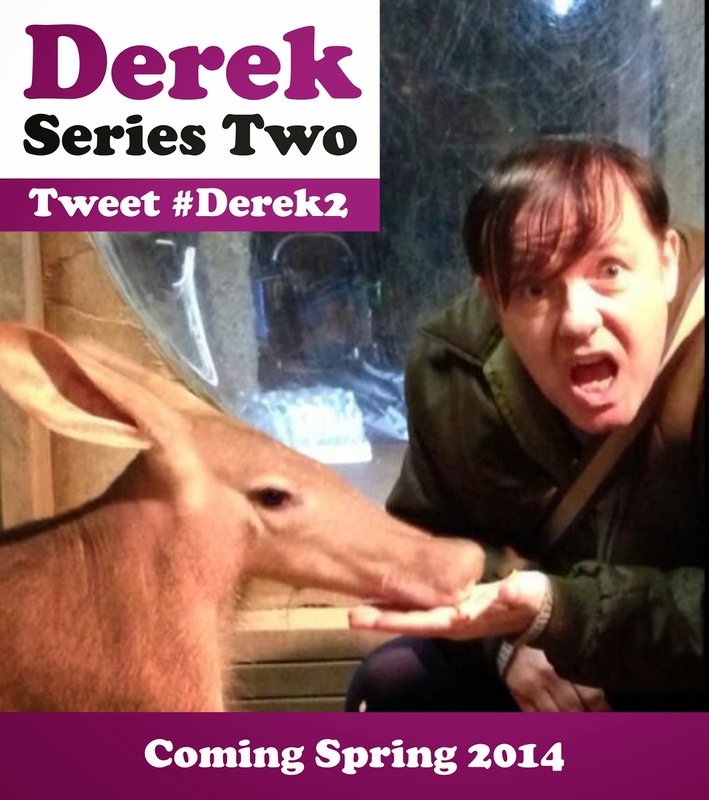 Yesterday, David Earl tweeted: "Final day on Derek 2 tomorrow. I've done some really weird things over the last month. It's been a joy / total humiliation." This evening, Kerry Godliman, who won everyone's hearts in series one as Hannah tweeted: "Finished on Derek 2 today... time to pack away the tabard. 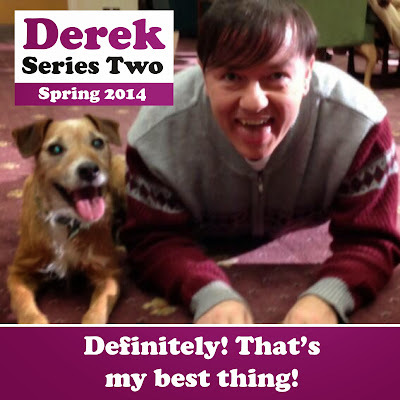 It's been a joy." ...and the return of Derek's favourite dog Ivor. To reiterate Colin Hoult's tweet, I think I speak for everyone when I say: "Can't wait to see how it all comes together." D2 -- hope we will see on NETFLIX soon! Will we?